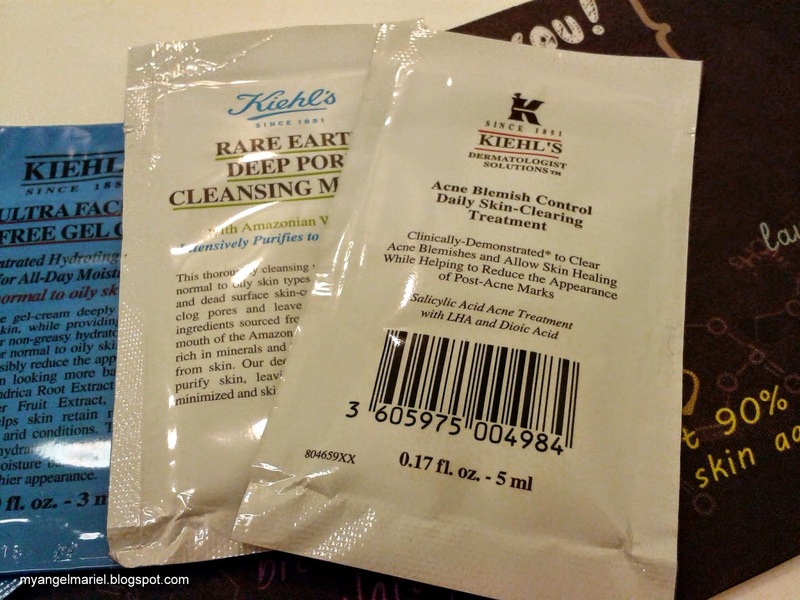 When I saw the post in Kiehl's Manila Facebook page about the Change Your Skin Challenge, and the chance to take home five full sized products, I went to the nearest store right away! I love joining contests and this one fits in! 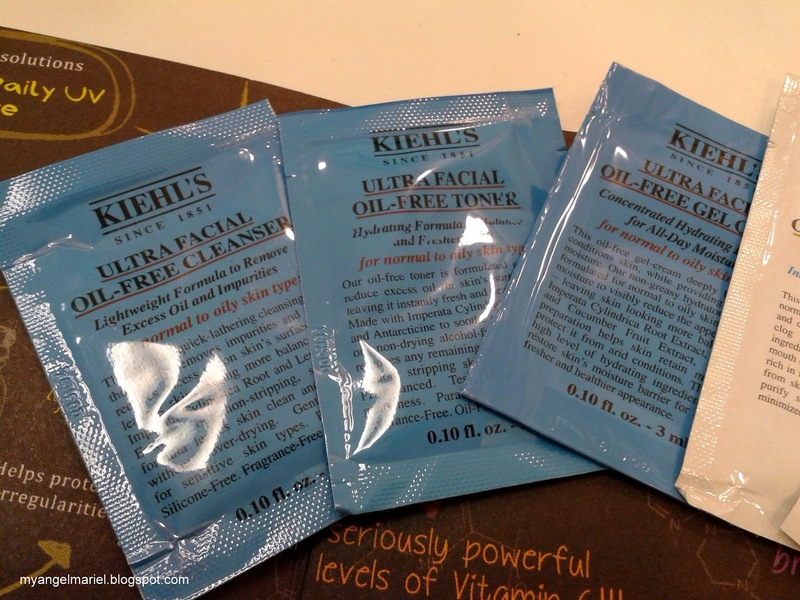 Besides, I got interested in Kiehl's products ever since I tried their BB Cream. The poster. 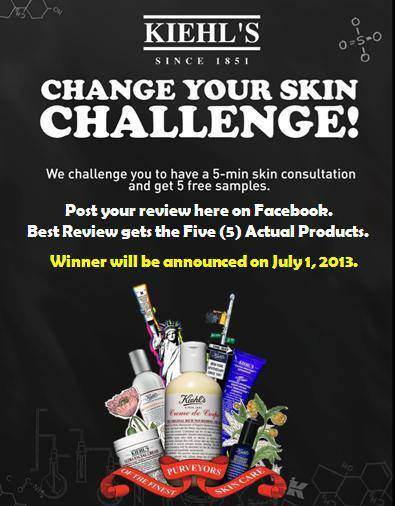 Taken from Kiehl's Manila FB page. 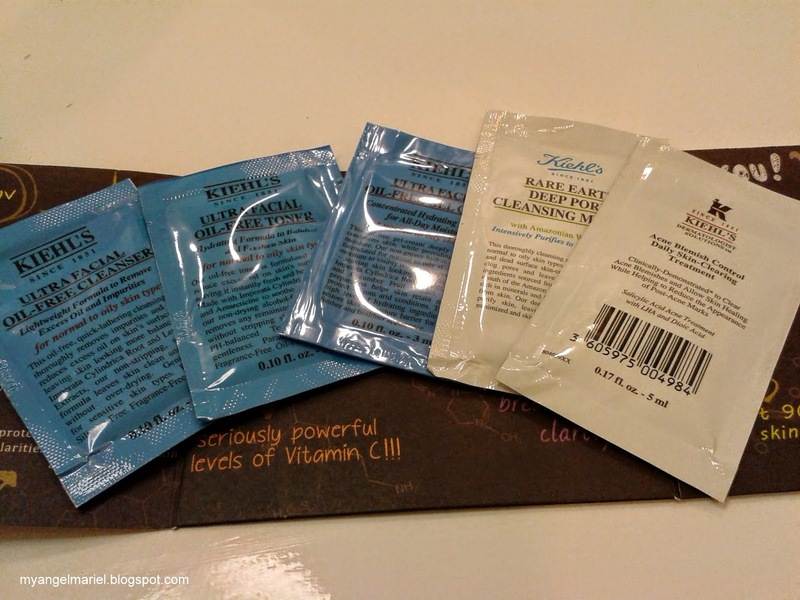 I visited the Kiehl's branch in Greenbelt 5. I had trouble finding the place because the mall is a maze! 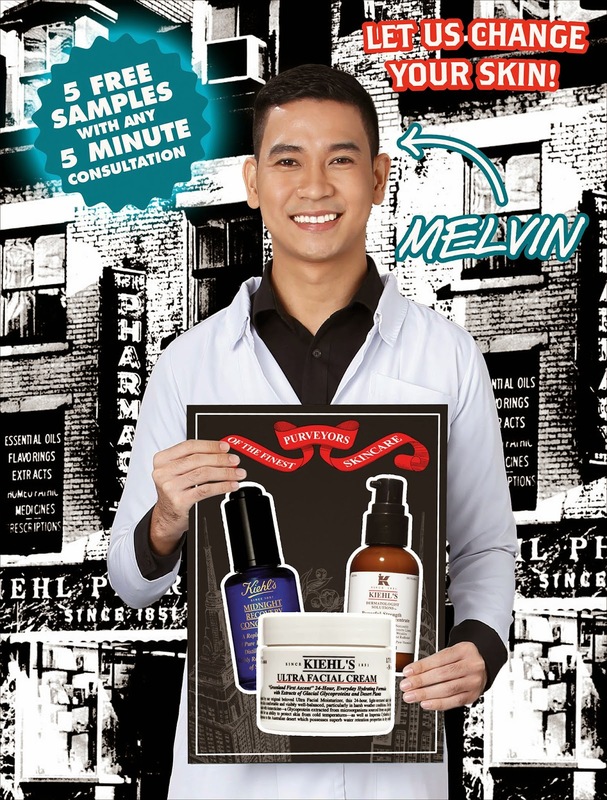 When I saw the familiar skeleton in lab gown, I knew it was the Kiehl's store! The customer representatives were very nice. It was Gladys who accommodated me. She was very kind. She got some sheets which according to her, would determine the type of skin that I have. The number of dots on the gray circle would tell. Here is mine: I have normal to oily on my forehead and cheeks. My skin as determine by these amazing sheets! 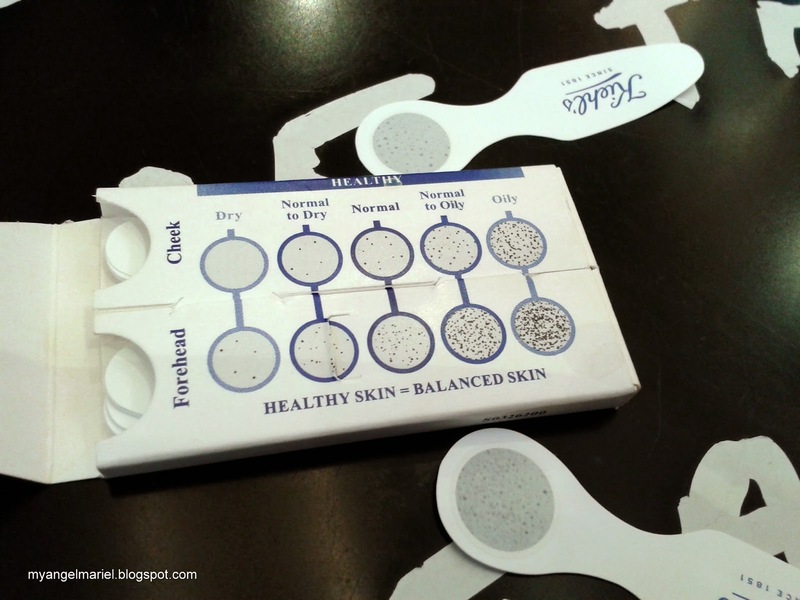 Knowing my skin type, Gladys happily introduced me to Kiehl's products dedicated to oily skin and large pores. She told me about the Rare Earth line and the Ultra Facial Oil-Free line. I shared to her that the Rare Earth Pore Minimizing Lotion reacted too harshly on my skin. So she suggested that the Ultra-Facial Oil Free line, which is gentler. Because of that, she gave me entire samples of the line! The entire Ultra Facial line. Gladys also noticed that I have small pimples and a few zits on my face. So she gave me Acne Blemish Control Daily Skin Clearing Treatment and Rare Earth Deep Pore Cleansing Masque. Gladys reiterated to only use pea sized amounts on these. Plus two more samples for skin care. I still have one more week to go until the deadline. I do trust Gladys on this and I hope the effects will be visible before July 1.